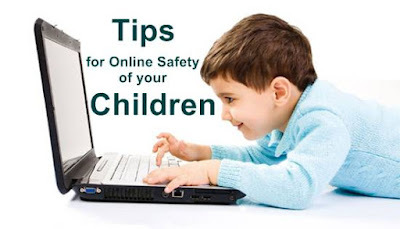 How to keep children safe online is a big concern for the parents now a days, especially in the countries like Pakistan where majority of the elders have only basic knowledge about functions and uses of information technology whereas younger ones have enough knowledge and full access to latest gadgets and internet. They browse websites, interact on social media websites (e.g. Facebook, Google Plus, Twitter), contact each other using instant messaging applications (e.g. Whatsapp, Viber etc). Keeping children safe online is one of the biggest challenges for parents today. There are a lot of things that can be done by organizations and governments but primarily it is the parent's responsibility to keep a check on their children’s online activities. You should teach your children how to use the internet safely. Internet access should be controlled at home and at school, on computer and on mobile phones. Consider having a fixed time for use of the internet. Also talking on the phone, texting, whatsapp should be controlled. Keep/ place your computer in open area or at a common location where you can physically monitor what they are watching. Do not place computer in the children bed room. Never provide separate smartphone, tablet, laptop or computer to teenagers. However you can give a common device for all your children. Start discussing online safety with your children at an early age. They should know that internet might be an unsafe place unless they stay on the mainstream websites. If they require, create social media accounts for them and ensure you have access to those accounts to monitor. Don’t post any personal information online. Never share your location, personal details, and upcoming plans with strangers or publicly in forums and groups. Avoid posting your family photos that gives away details about you or your family. Never share your password with any online friend. Never meet or invite online friends to your home. It might be very risky. And lastly if you see something suspicious, unsafe or immoral online, leave the website immediately and tell to a trusted adult immediately. Its very hard to keep restrain the children away from the bad stuff.